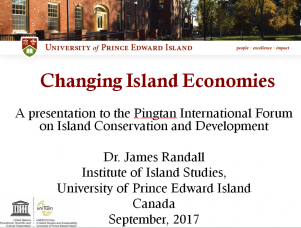 Charlottetown, PEI (September 2018) – UPEI’s Institute of Island Studies and the UNESCO Chair in Island Studies and Sustainability hosted a weekend of meetings with representatives and researchers from a dozen islands around the world. This unprecedented gathering of scholars in the field of Island Studies is made possible by a Partnership Development Grant from the Social Sciences and Humanities Research Council of Canada (SSHRC). The project will build relationships between researchers and will fund up to twelve graduate students. UPEI’s UNESCO Chair in Island Studies and Sustainability and the UPEI Climate Research Lab will co-host a public forum on climate change adaptations and islands. The forum begins at 7 pm on Thursday, September 22, in the Florence Simmons Performance Hall on the Prince of Wales Campus of Holland College. Information gathered at the forum will be become part of a statement delivered at the 22nd session of the Conference of the Parties (COP 22) to the United Nations Framework Convention on Climate Change this November in Morocco. Dr. Godfrey Baldacchino, co-holder of the UNESCO Chair in Island Studies and Sustainability, will prime the forum by presenting a summary of a two-day international symposium on small island resilience to climate change. The symposium brings together 15 people from around the world to discuss how residents of small islands and coastal jurisdictions can build on their strengths and resourcefulness to respond to the consequences of climate change. The focus is on four areas: food security, renewable energy, innovation, and cultural heritage. Hosted by the UNESCO Chair in Island Studies and Sustainability and the UPEI Climate Research Lab, the symposium is funded in part by ACOA and the Province of Prince Edward Island. Admission to the public forum is free and everyone is welcome to attend. For more information, contact iis@upei.ca or 902-894-2881. Global climate change is seen as one of the greatest threats posed to the future of human-kind and the world. While climate mitigation strategies are necessary to reduce greenhouse gas emissions from anthropogenic sources, those alone are unlikely to be sufficient to eliminate the negative impacts of climate change. The impacts of climate change from emissions of greenhouse gases over the past 150 years will have to be confronted by all jurisdictions now. Therefore, pursuing a complementary strategy of enabling countries to adapt to climate change and negate many of the expected adverse impacts is equally, if not more, urgent. The Canadian federal government has recognized this imperative by making Clean Growth and Climate Change one of its highest priorities. The Government of Prince Edward Island is also ideally situated to play a lead role, not only as a small island adapting to a future imperiled by climate change, but also as a co-chair of the federal-provincial-territorial Working Group on Adaptation and Climate Resilience. In order to take action on climate change adaptation and resilience, the University of Prince Edward Island, through the Climate Research Lab and the new UNESCO Chair in Island Studies and Sustainability, is hosting an international public-policy focused symposium on building small island resilience to global climate change. Residents in small islands and coastal jurisdictions have historically demonstrated an innate strength and resourcefulness in response to externally-caused crises. This symposium will build on this capacity to make these places more resilient to the consequences of climate change, in turn providing public policy lessons for other jurisdictions. It will focus on four key areas: food security, renewable energy, innovation, and cultural heritage. It will bring together climate experts who may not have considered the significance of islands, and island experts who may not have focused their attention on climate change. Together with an invited group of engaged audience participants, this symposium will address the pressing issue of climate change and small islands in an action-oriented and policy-focused series of dialogues. As a vast country, we sometimes forget that Canada is particularly rich in both numbers and diversity of islands. From the provinces of Prince Edward Island and Newfoundland & Labrador in the east, to the northern territorial archipelago of the Arctic, to the temperate islands along the West Coast, to the tens of thousands of freshwater islands, islanders and islands are a significant part of Canada’s economy and culture. Like small and medium-sized enterprises, Canada’s islands are also a source of innovation and entrepreneurship. As such, Canadians are able to understand and identify with the challenges and the capacities associated with the small islands of the world and the more than 600 million islanders who call these places home. Canada is therefore ideally situated to play a key role in helping those living on small islands to achieve sustainability. The symposium will bring together 15 expert presenters in climate change adaptation and Island Studies from Prince Edward Island, Atlantic Canada and Canada, the US, and internationally. The 40-50 invited audience participants will be comprised of junior and senior island studies and climate change adaptation experts in government, academia, non-governmental organizations from across the country and around the world. Tuesday, September 20, 2016, 7-9 p.m. Welcome reception. 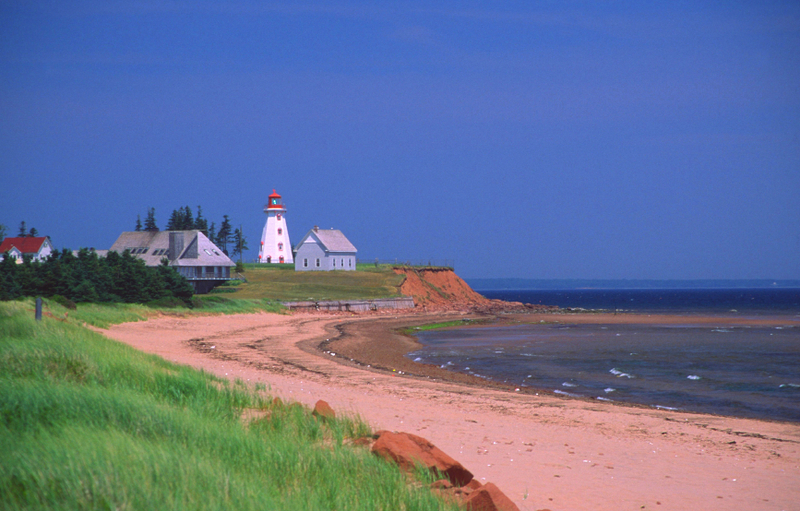 Wednesday, September 21, 2016, 9 a.m.-5 p.m.
Thursday, September 22, 2016, 9 a.m.-5 p.m.
Field Trip: Island Resilience and Climate Change: A Visit to the Greenwich, PEI Climate Research Station. First stop: University of Prince Edward Island campus to tour the Institute of Island Studies and the UPEI Climate Lab. Lunch at the Trailside, Mount Stewart, PEI. For more information, please contact Laurie Brinklow, UNESCO Chair Co-ordinator.